What a great image Jake! Really nice background/setting and great detail in the bird. You nailed the exposure here as well. One of your better images, Jake. 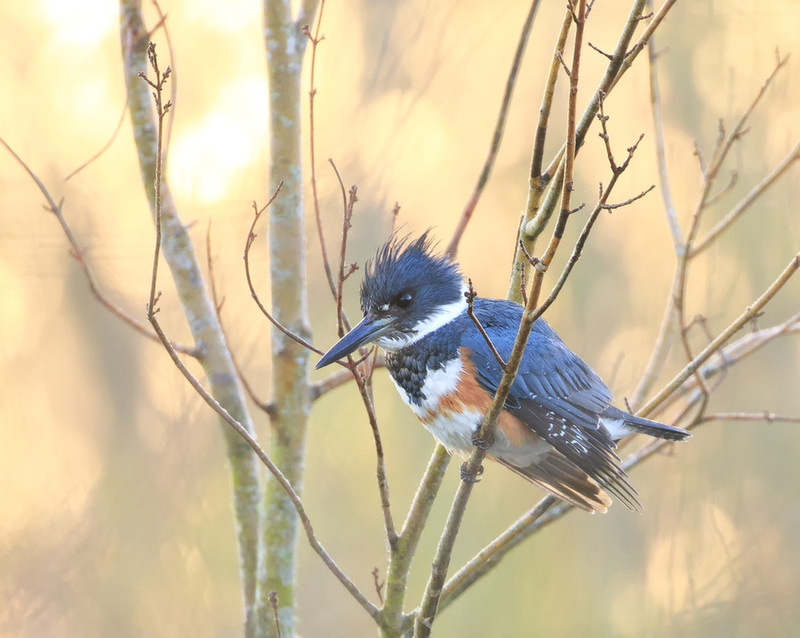 The warm, golden background lighting is gorgeous, and the Kingfisher is posed perfectly revealing super detail. Very well done! Beautiful light in this one, and a lovely portrayal of Ms. Kingfisher. Lovely! A must click for the excellent detail in the kingfisher, and that mystical, golden background is just beautiful, Jake! What a lovely image.